According to research, women are woefully underrepresented in leadership roles compared to men, this is particularly true for women in STEM. 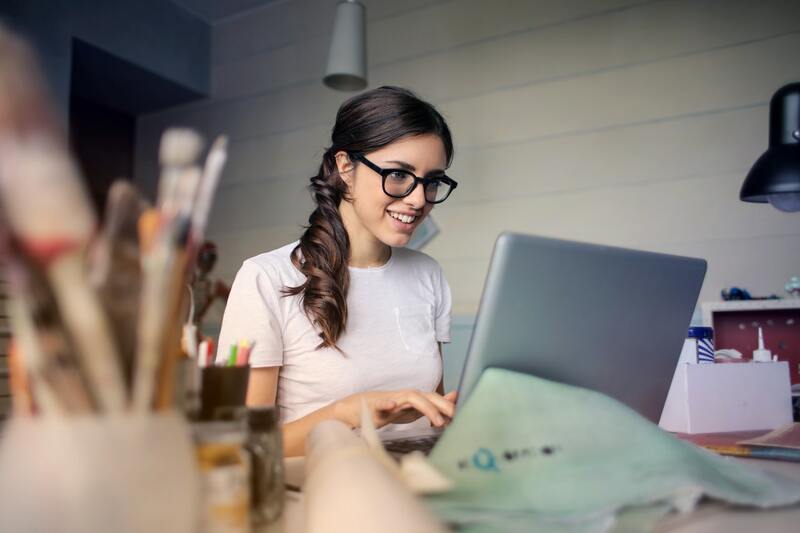 Aspiring female executives can do their part to end gender disparity in the workplace by taking advantage of the many tools and websites that are freely available. These resources can help them to get on track for a STEM career or help professional working women to expand their existing roles. Unfortunately, women who make it to the highest corporate ranks are exceptions to the status quo. In academic engineering environments, for example, women typically represent a quarter of the student body. In corporate America, however, the percentage of female leaders dwindles drastically. While more male professionals have come to recognize the importance of women in managerial roles, many still overlook the role of females in technology. According to gender equality advocates, there’s still a strong mindset that technology is not for women. Today, professions that require a background in STEM training are largely dominated by men, even more so than in business. For example, journalists often note the male-dominated culture of Silicon Valley when writing articles about technology. Advocates for women in technology warn that female students must take more interest in STEM learning paths to level the playing field in the real-world work environment. Female technology leaders express that the gender disparity in STEM learning and professions is one of the most urgent and important issues of today. Numerous empirical studies have already proven the cognitive equality of women compared to male professionals. Still, they are still held back in business and technology due to deeply entrenched stereotypes. This problem typically starts early for women, with girls shying away from STEM-related learning paths. The trend then continues through college and University training and persists in the workplace. Most people view men and women equally capable. In poll after poll, men and women express that they believe that females possess the same important qualities and behaviors that are essential for key leadership roles. Despite this, most women still fail to advance to top leadership in business and technology. As an example, there are 25 women out of 100 US senators, which is a historic all-time high. In addition, there are only 102 women posted as voting members of the House of Representatives out of 435 members of Congress. By midcareer, male professionals are 70-percent more likely to advance to executive roles, and by late career, men are 142-percent more likely to advance to a VP or executive level post. This ties into the tendency of many female students the bypass training that can prepare them for executive leadership. According to a study conducted by Microsoft, young women are less likely to pursue STEM learning paths and professions. Advocates for women in STEM express that female professionals must work to change this circumstance. Furthermore, express the advocates, academic stakeholders must work together to tear down stereotypes about females and STEM learning. In the entire history of fortune 500 CEOs, only 64 female executives have joined the ranks of this esteemed list. Among women who do rise to the top of their fields, the path to leadership is typically different than that of their male peers. Studies regarding female executive leadership typically reveal that women invest in their own career development. Alternatively, men normally advance through the ranks via connections, mentors and networks. According to studies, female professionals often witness the achievements of their male peers before deciding to invest in themselves, while male professionals are systemically uplifted to higher positions. Around the globe, the number of female entrepreneurs is rising rapidly. In fact, the number of female business leaders rose twice as fast as their male peers between 2015 and 2016. This is exceptional news for the economy. Studies show that enterprises led by women perform twice as well and generate 60-percent more value for investors than those helmed by men. Despite this, financiers still fail to support female entrepreneurs as generously as male business leaders. As a result, many female business leaders often struggle to find funding to launch their ventures. Encouraging young women to pursue STEM training is only the beginning. Advocates and educators must do more to inspire them to follow through with the learning track and do the same in their professional endeavors. Advocates for women in STEM lament that the efforts to bolster women in business and technology is of little use if they don’t stay the course. To create a gender-equal future, more young women must rise to the occasion and pursue leadership roles in business and technology. By doing so, they will create a better future and inspire other young women to do the same.